Brilliance sold just 46 BS6s in Europe last year and 321 between 2007 and 2009. Brilliance China Automotive Holdings Ltd., BMW AG's partner in China, has halted its car exports to Europe after its BS4 and BS6 sedan met with a cool reception, and there is no timetable for a resumption, senior executives said on Thursday. The head of Brilliance's former importer for Europe, Hans-Ulrich Sachs, told Automotive News Europe in March that another reason the automaker struggled is because it refused to lower the starting prices on the BS6 and BS4. "They didn't want to lose any money per car," said Sachs, the former boss of the now dissolved import company HSO Motors Europe. "We told them that this is the entry fee you have to pay to get established in Europe. They told us that we should make the investment to cover the shortfall; that we would have to subsidize the brand." Brilliance is one of the few Chinese automaker that has managed to squeeze into the highly competitive European market, dominated by Volkswagen AG, PSA/Peugeot-Citroen SA and Fiat S.p.A. In 2006, it secured a deal with Sachs, a former Volkswagen AG executive who also helped launch Hyundai in Germany, to ship 158,000 sedans to Europe over a five-year period, the largest auto order ever for a Chinese manufacturer from the developed world. The total sales tally of the two Brilliance models from 2007 to 2009 was 502 units, according to UK-based market researcher JATO Dynamics. 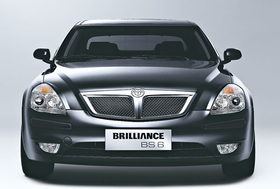 Brilliance sold just 46 BS6s in 2009 and 181 BS4s, JATO's data shows. Sales of the BS6 never recovered from poor crash test results in 2007. Brilliance had at one point contemplated adding a BS4 wagon to its lineup, but the plan has now been postponed indefinitely, two company executives told Reuters. "We have stopped exports to Europe. For now, we have no timetable for resuming the business," said one of the executives with direct knowledge of the matter, blaming the poor reception for the sedans in part on the difficulty of keeping up with changing European regulations. Both executives said the company would look to start sales again in Europe with products that could meet new EU emissions standards sometime in the future. "The BS4 and BS6 were made with Euro 4 specifications in mind. When we resume the exports we will come up with cars and meet the Euro 5 standards," said the second executive. Sachs told ANE that last autumn he found out through contacts in China that Brilliance had stopped the engineering work needed to get its cars ready to meet European safety and emission standards. "We asked some of the BMW guys working together with Brilliance in China and that is how we got the information that Brilliance stopped everything," Sachs said. About the same time Sachs' relationship with Brilliance was falling apart, BMW announced that the partners would split the cost of a 560 million euro new plant in China. The partners' second factory is due to start production in 2012. BMW last week announced it plans to sell 120,000 BMW, Mini and Rolls-Royce brand vehicles in China this year, up 20 percent from its earlier target. BMW Group sold 90,500 cars and SUVs in China last year. China, which overtook the United States as the world's biggest auto market in 2009, has become a safe haven for General Motors Co. and other producers battered by a steep industry downturn. Chinese automakers, from state auto group SAIC Motor Corp. to Warren Buffet-backed BYD Auto Co. are also working harder than ever to raise their domestic profiles to compete with rivals such as Volkswagen, Toyota Motor Corp. and Honda Motor Co.
Rather than rushing into unfamiliar markets when economic uncertainties and rising protectionism have raised the bar for new entrants, Chinese automakers should focus more on their home turf, industry executives and observers said. "At a time like this, the best strategy for a Chinese national brand is to step up its presence in China while while maintaining a foothold overseas," said Huang Zherui, an analyst with CSM Worldwide, a global industry consultancy. Brilliance, parent of Brilliance China Automotive Holdings, is China's ninth-largest auto maker with a 2.6 percent market share, compared with domestic leader SAIC's 19.8 percent, according to official data. Brilliance sold 348,300 vehicles in 2009, up 22 percent from a year earlier, lagging a 46 percent gain in the overall market.